For the most up to date selection of all my free and for-sale patterns, please visit my Ravelry pattern store. (Ravelry is free to use and does require registration.) Here are a few you might be interested in! Button cardigan with cropped sleeves. Uses DK-weight wool on 4.0mm needles. Wrap cardigan sweater in sizes XS – 3X. Uses sport-weight or light DK yarn on 3.5mm/US 4 needles. I’m looking for a Scandnavian ski cap w/ ear flaps. Do you have one? Free is wonderful, but I will also be glad to pay for a pattern. Thanks. Thank you for a well written and lovely blog. Now that I have plied you with compliments, perhaps you have a moment to offer a recommendation? I am desperate for a DK light worsted cardigan pattern for a plus sized girl. Oh help. Thanks again for the fun. Hi, I got a 404 instead of your pretty Silk Garden Socks pattern download… would you mind emailing it directly? I’m on my 3rd pair of socks and looking for new fun. I’ve been wondering this whole time where I know you from. I finally figured it out – it’s that basic black from magknits! hi, i am actually looking for instructions to make some knee high socks, only thing is, i am a MAJOR-BEGINNER so i would need it in extremely easy language, i do not understand all that ‘p2tog, k4tog’ stuff !!! lol, so if you could do me up some instructions for this i would be very thankful. Thanks for your lovely patterns. They are fun and beautiful too! I think there’s a mistake on size 2 (35″ 89cm) on the sleeves. Cap shaping: BO 4 sts at beg of next 2 rows-68sts. does not equal 52sts (=58sts). Should I go down to 52 or 58 sts here? Lovely pattern by the way. How do I sign up to get your blog? Me three…I would like to subscribe…. This is a gorgeous blog, so well-written and fun to read, and your color choices resonate with me. Not to mention how inspiring your designs are. I’ve written up a short review of your blog on my website, hope it gets you some visitors! 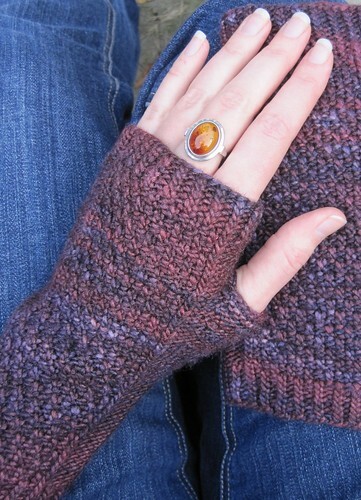 Wonderful to find another Canadian knitter online!! I’m up North near Sault Ste. Marie – and we have NO yarn shops at all. Guess I’ll have to travel to Sudbury or Toronto. I’ve re-started knitting after several years of ‘mothering’, and I’m really enjoying it all–cableing, hats, and my newest challenge would be a sweater. Thanks for your blog – I sure need it!!!!!! The Brennan Cardigan just jumped up high in my “to do” list. Great patterns!! I just happened to stumble acoss your site… and you are amazing… I have picked up knitting once again to get as comfortable with the needles as I have been all of my life with the hook. You inspire me! Thank you so much for sharing you world! Your patterns are really beautiful – thank you so much for sharing your gorgeous gifts with us. During times like these – we all need as much beauty as we can to focus on. I truly believe that by descending into the horrors – we only expand them. Thank you very much (a bit belatedly)! It is indeed reassuring to have knitting around in times like these. I’m glad you stopped by. I hope there will be plenty more good blog food for thought, to come. Hey ,anybody reccomend anything simple and quick for a teen (like me!) to knit? I am searching for a pattern, but don’t know what to look for. Recently I’ve seen sweaters everywhere that look like they are essentially 2 rectangles sewn together on the shoulders which makes a boat neck and seams sewn up the side about half way which makes sort of raglan sleeves (without the lower part of the sleeve). They are very loose fitting and could be worn over turtle necks or long sleeve tees. Anyone know of a pattern for this? I am new to knitting and use a round loom. I’m looking for a pattern for a “scrooge” style hat that I can make using the round loom. I looked at the scrooge/cratchit pattern shown on this site but it is not for loom knitting and I don’t know how to translate it. Can anyone help. I want to make it for a Christmas gift. Great web site. A lot of useful information here. I’m sending it to some buddies ans additionally sharing in delicious. And obviously, thanks to your sweat! I love your blog and read every entry with interest and excitement! I just now came to the free section and am anxious to start a pair of the socks with the cable stitch. 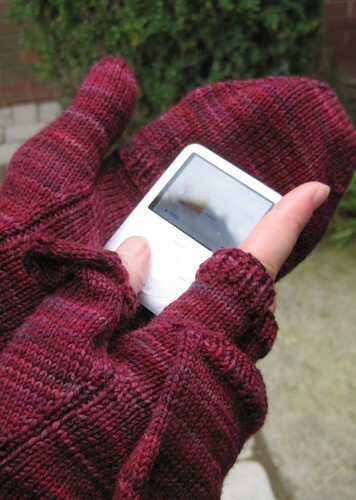 Very nice – thank you so much for free patterns. I’ve missed you these past few days – happy new year!!! How do you teach someone who is oppisate of the way you knit? At the present time I am teaching a right handed person and I knit left handed due to cerebral Pasy and I knit with one hand. I just wanted to say how much I love your patterns and appreciate that you have offered so many unique patterns for free. Keep up the great work! I am looking for a knmitting pattern for an edmonton oilers sweater and xmas stocking?? Do you have any idea where I could possibly find one?? I am looking for a knitting pattern for an Edmonton Oilers sweater. for adult, the logo has to be knitted instead of an applique one. Where can I find one, please help. Thanks you. very engaging and also the post was indeed a very good read. Which was the two interesting also as insightful! What an amazing blog!!! really like it. I’m looking for knitting pattern to make tunic. 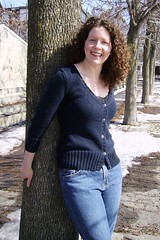 I found one on http://www.craftstv1.com/2013/04/crochet-pattern-for-knitted-tunic.html but I don’t understant this one. Many thanks for these great grown-up patterns. I’ve only been knitting toys up till now but I can’t wait to try the scrooge cap and give it to my hubby for Christmas! Thank you for the sock pattern. 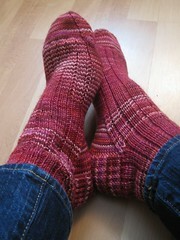 As soon as I finish another project I’m going to try making socks, for the first time. How can i obtain the brennan cardigan pattern in pdf? I was looking for convertible mittens for my mom. Thanks for the podster pattern. I will pass it on to mom. She wants to make some for my brother. By the way, it is nice to see another “Glenna” out there.